Nanyang Technological University has issued NTU PhD Scholarship 2018 Application form for PhD applicants then. If you are also one of the eligible applicants then check the complete eligibility criteria and term condition below and apply online before the last date through the link which is mention below. You are eligible for NTU Scholarship 2018 if you are a local or international student and want to take admission as full-time Applicants pursuing a Doctor of Philosophy (Ph.D) programme by research at NIE. NIE Ph.D scholarship will be effective from the date on which the scholars report to NIE, provided it is already full-time higher student study by the research of this institute. The monthly payment will be S$3,000. 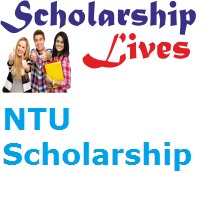 This scholarship scheme cover annual tuition fee, Employer CPF Contribution (for Singapore Citizens only), one-time conference allowance (which covers airfare, conference fee and accommodation) up to rs $4,000 in the 3rd or 4th year and airfare grant (for International Student only) of up to $2,000 (in-bound to Singapore on the most economical route of air travel from country of origin). The scholar must adequately complete at least 4 courses in the first year of study and earn at least a 3.5 Cumulative Grade Point Average (CGPA), and no course should be lower than a Grade Point 2.5 (C+ grade) to be eligible for renewal of the scholarship for the next academic year. Applicant must clutch a master’s degree in relevant subjects. Applicant must have the talent to pursue research in the field of study. Contenders must have a minimum TOEFL score of 600 (for paper and pencil examination) or 100 (for internet-based). Or, minimum IELTS score of 7.0 is also applicable. First check the eligibility criteria which ie mention above. Then fill the application accurately Login to fill the application form.